Despite criticism of the move from several fronts and even some in the IAS lobby warning against it, the Prime Minister and his team were determined to go ahead with lateral entry. The Centre's decision to open the “steel frame” of bureaucracy will see 9 professionals, largely from the private sector, joining as joint secretaries in various departments. Joint secretary-level officers are largely drawn from a pool of people who clear the civil services examination conducted by the Union Public Service Commission (UPSC). To ensure the same standards, the entire process of the selection of these experts was conducted by the UPSC. 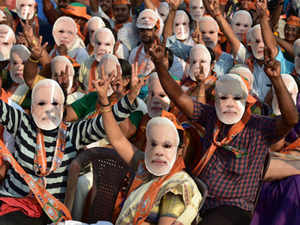 Despite criticism of the move from several fronts and even some in the IAS lobby warning against it, the Prime Minister and his team were determined to go ahead with it. Lateral entry is not a new phenomenon with people such as former PM Manmohan Singh, Mantosh Sondhi, V Krishnamurthy, PK Basu, PP Nambiar, MS Swaminathan, Verghese Kurien, Vijay Kelkar, Montek Singh Ahluwalia, Sam Pitroda, Nandan Nilekani, Raghu Raman, DV Kapur and RV Shahi making their way into the system through lateral entry. The process reduces the vacuum built at key joint secretary levels. According to an ET report, about 40 more lateral entries will be done soon at the deputy secretary and director levels where the shortage of officers is even more acute. The process to pick the names included vetting of the applications by independent teams of sectoral, governance and HR experts from the private and public sector. In addition, representatives from the government also scrutinized the personality and potential of the candidates. This system will most likely be made part of the institutionlised way of recruiting bureaucrats by the UPSC. Apart from studying administrative setups in the US, UK, Belgium, Australia and New Zealand which are known to have many lateral entrants, the Centre also went through a UPSC-commissioned report of the Civil Services Examination Review Committee headed by YK Alagh (2001) that had recommended lateral entry into middle and senior levels of the government. The Justice BN Srikrishna-headed Sixth Central Pay Commission report (2006) said lateral entry could "ensure entry and retention of talent in the government even for those jobs that have a high demand and premium in the open market". Amber Dubey, who is a partner with consultancy firm KPMG as head of aerospace and defence, has been recommended for appointment in the civil aviation ministry. Dubey is an alumnus of IIT Bombay and IIM Ahmedabad and has over 26 years of experience. Kakoli Ghosh, who is working with a multilateral farm sector-focused agency, has been selected to join the agriculture ministry; Sujit Kumar Bajpayee, who is working with state-run NHPC, has been recommended for appointment as joint secretary in the environment ministry. Dinesh Dayanand Jagdale, who is the CEO of Panama Renewable Energy Group, will join the new and renewable energy ministry. Saurabh Mishra will be a joint secretary in the financial services department while Rajeev Saksena will join the economic affairs department. Arun Goel has been selected for the commerce ministry while Suman Prasad Singh will join the road transport ministry. Bhushan Kumar has been selected for the shipping ministry. “This is a huge change. Perhaps for the first time, so many private sector specialists are being inducted. The entire process has been done through UPSC which is good,” a senior gover nment official told TOI. The selected candidates would be governed by central government administrative rules and will enjoy the pay and perks of a joint secretary.